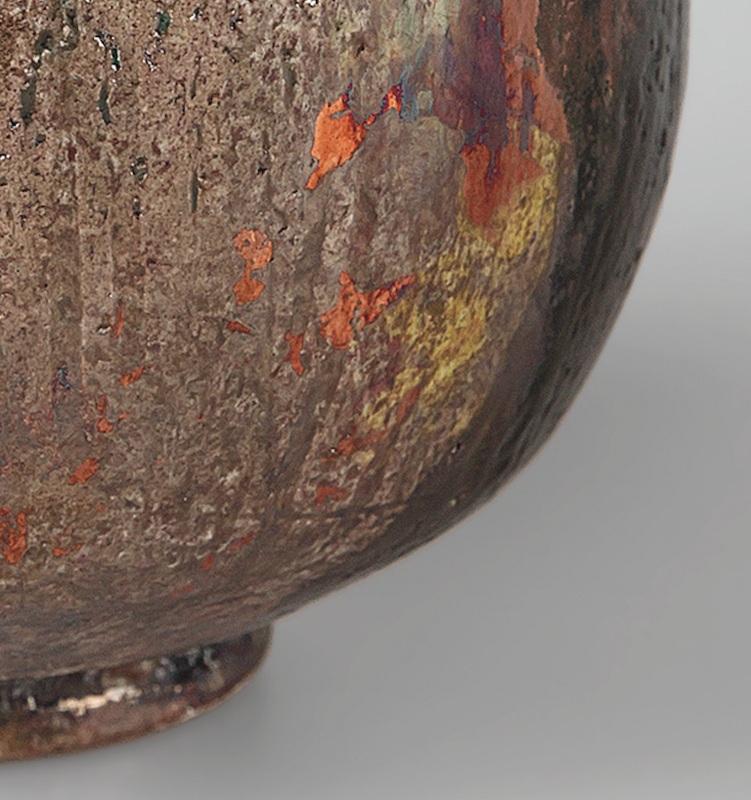 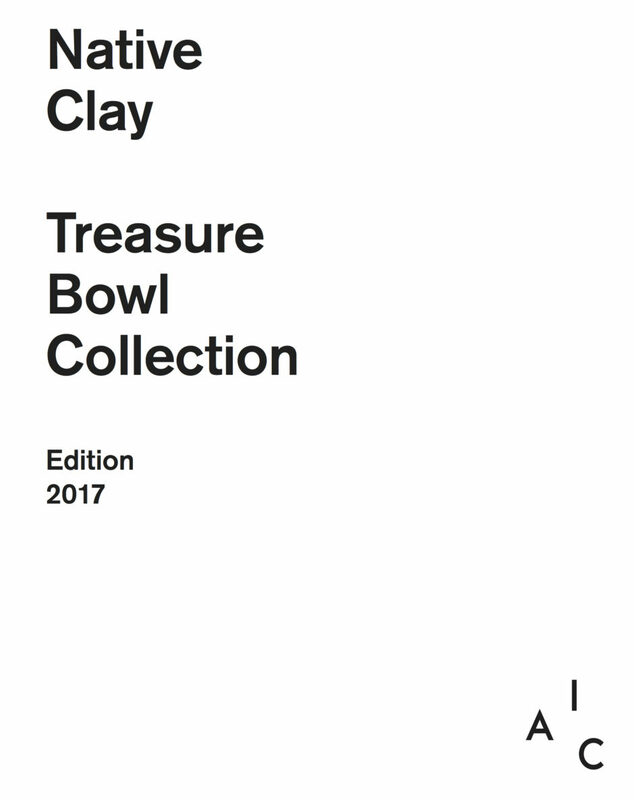 The Council of the International Academy of Ceramics is pleased to announce for acquisition “The Treasure Bowl Collection.” Developed from 2016 to 2018, this collection is unique in contemporary ceramics. 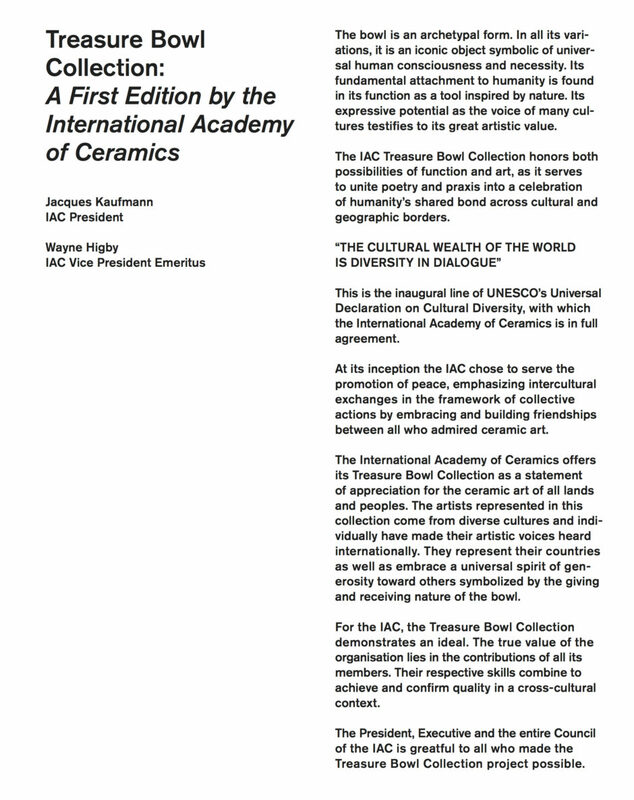 Funds realized from the purchase of this collection will go to support the work of the IAC throughout the world. The theme of the collection, “Native Clay”, was a natural choice. 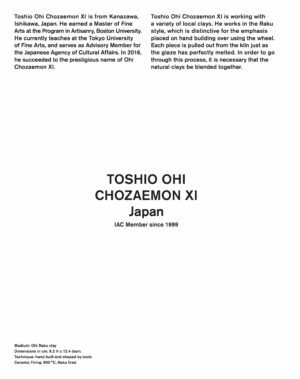 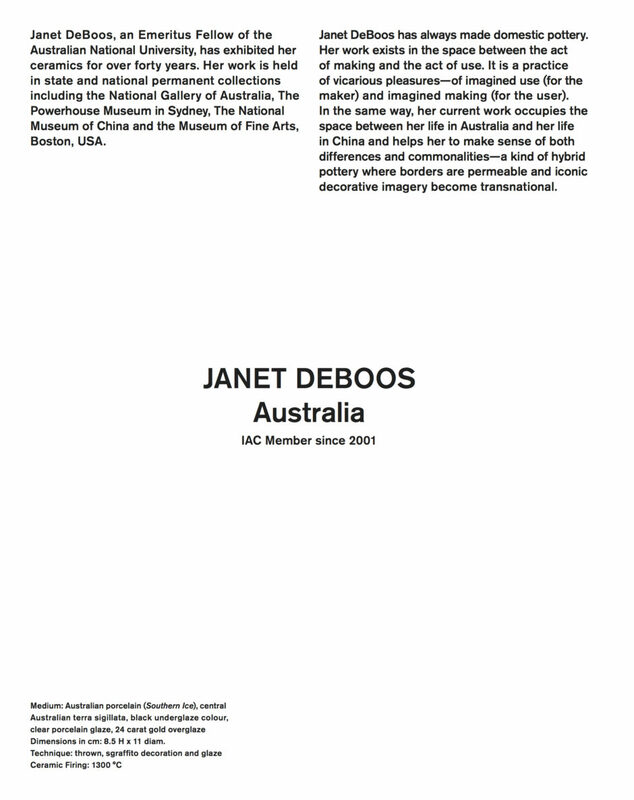 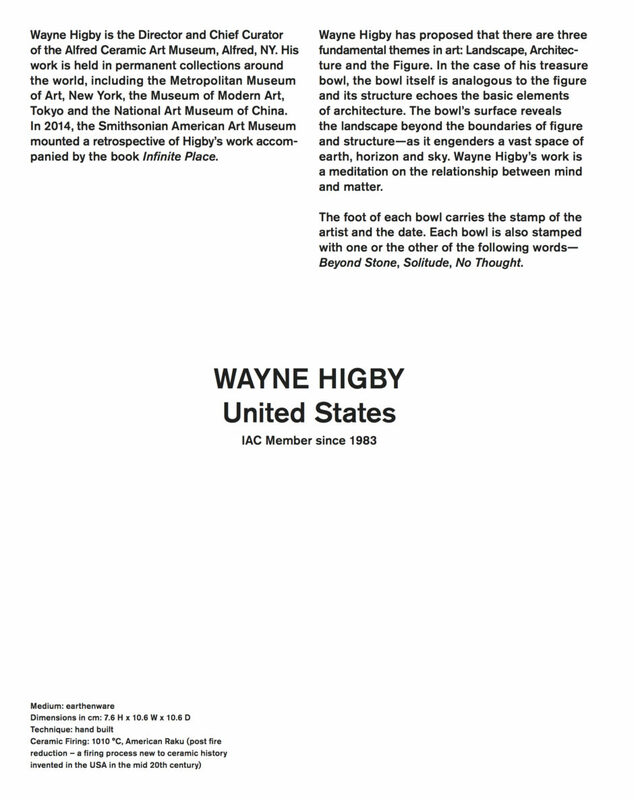 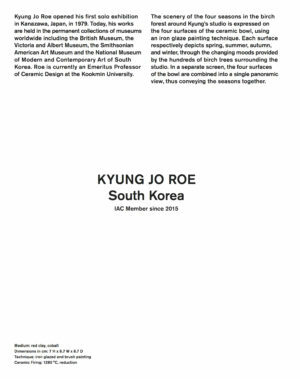 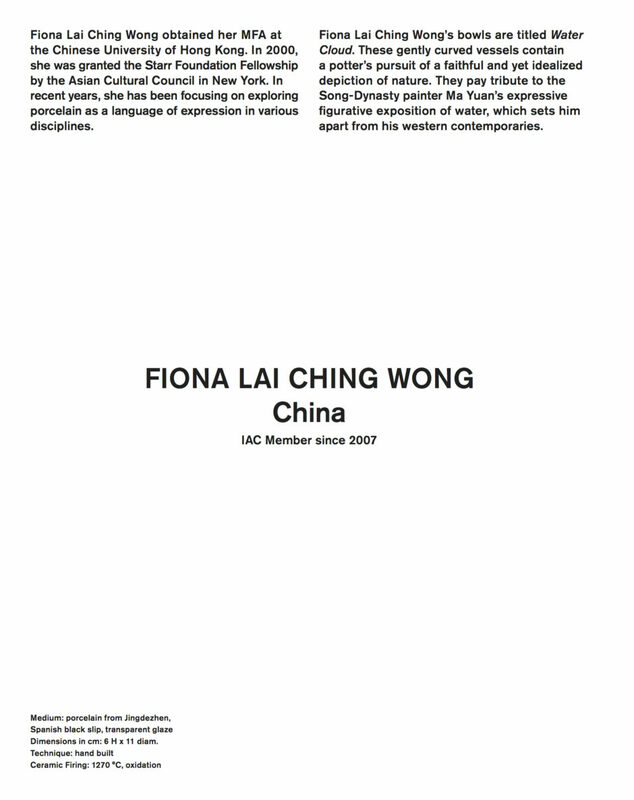 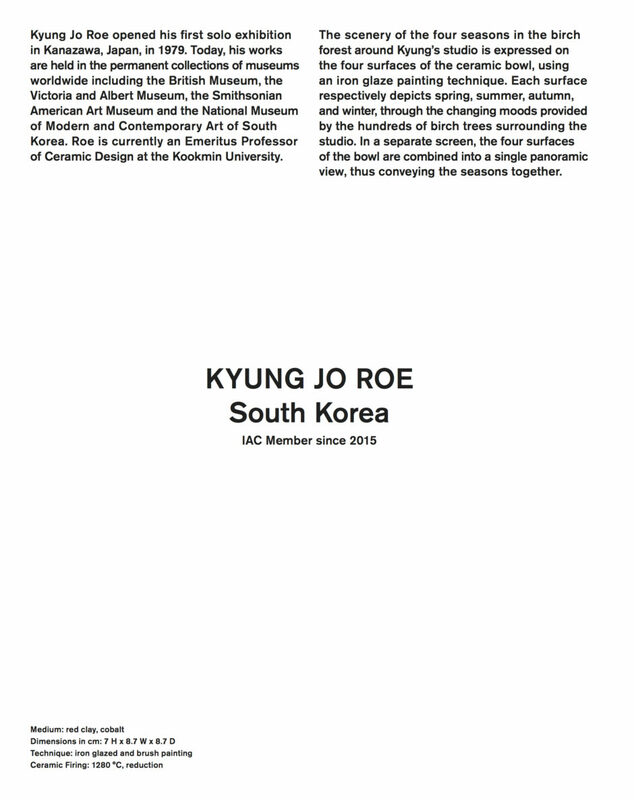 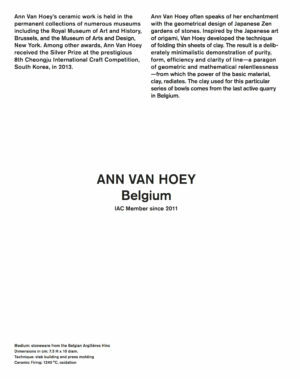 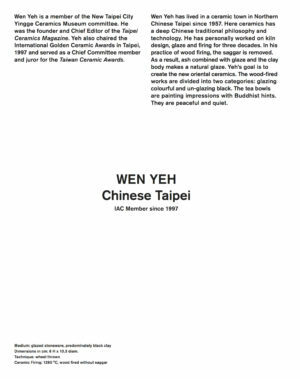 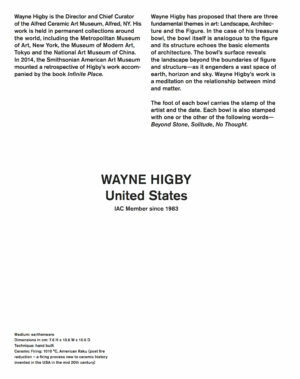 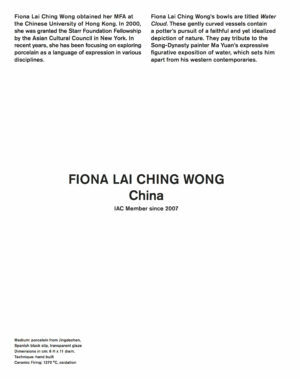 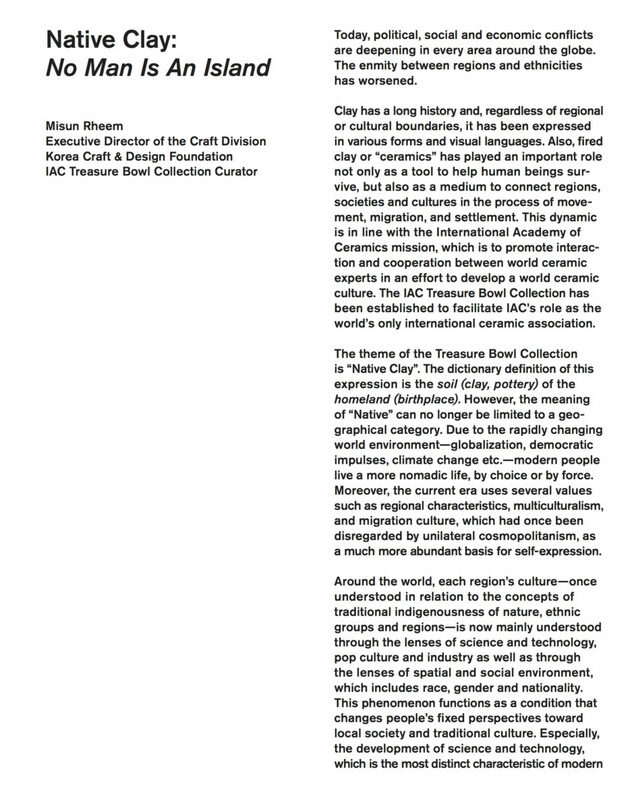 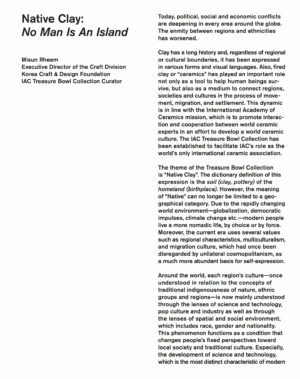 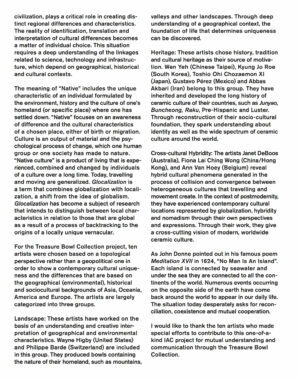 Curator Rheem has explained the theme in the following words, which are offered in more detail in her essay included in the accompanying catalogue for the collection: The meaning of ‘Native’ can no longer be limited to a geographical category. 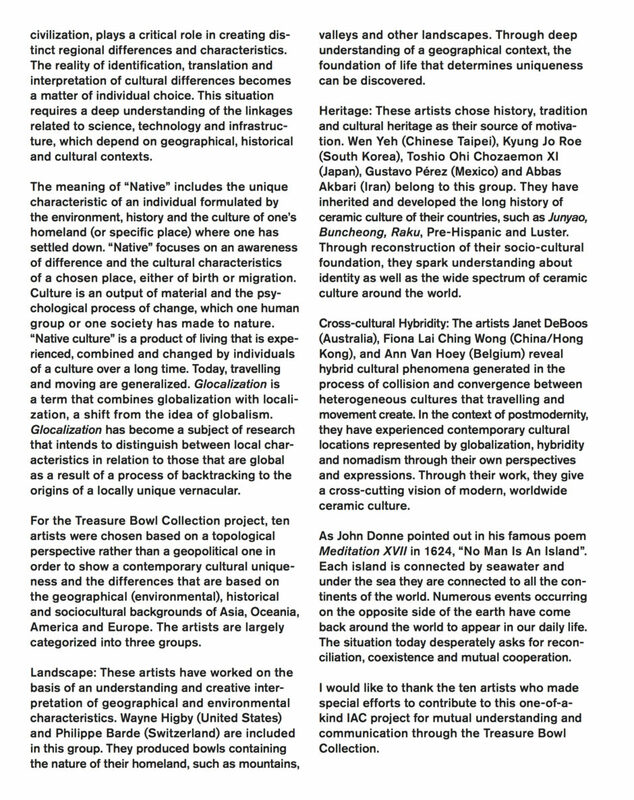 Native includes the unique characteristic of an individual formed by the environment, history and the culture of one’s homeland or specific place where he or she resides. Through the fundamental act of shaping a bowl, the invited artists used their remarkable traditional and contemporary skills to express the concepts of native self and common values. 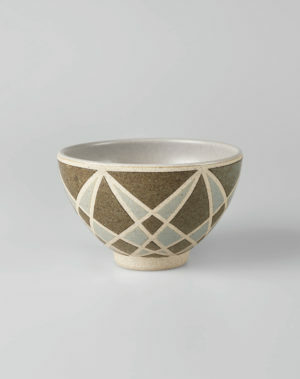 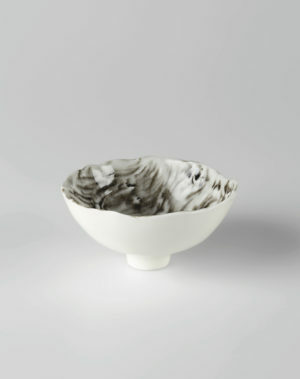 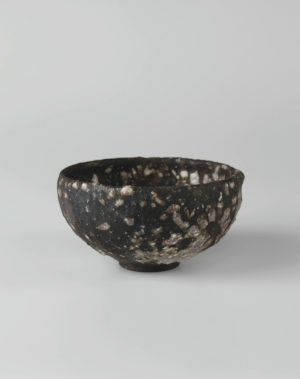 For the ceramic artist, the bowl is an archetypal form. 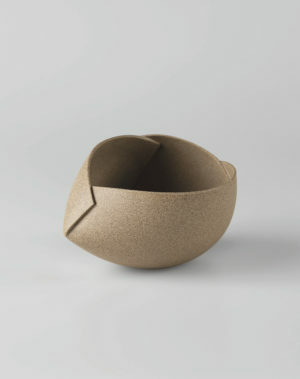 In all its variations, it is an iconic object symbolic of universal human consciousness and necessity. 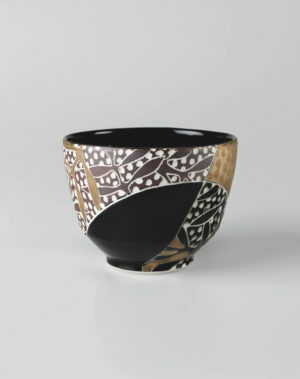 Its expressive potential as the voice of many cultures testifies to its great artistic value. 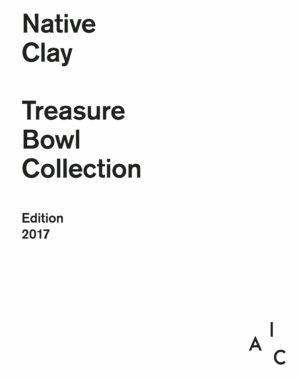 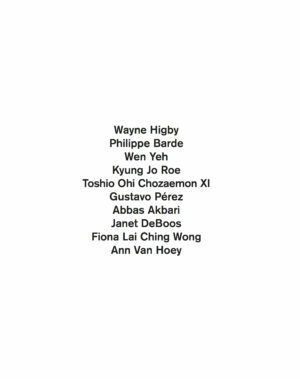 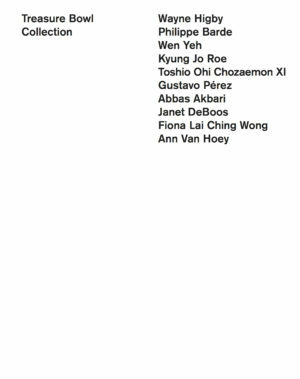 The Treasure Bowl Collection is the result of a rare collaboration of 10 international artists and curator Misun Rheem, all IAC members. 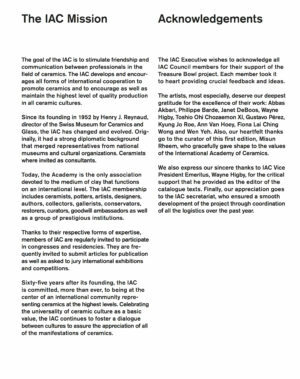 Curator Misun Rheem celebrates the IAC philosophy, based on the sharing of knowledge and friendship. 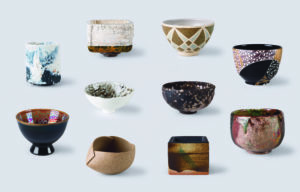 This edition is made of 12 numbered sets, each composed of 10 bowls signed by the respective artists. 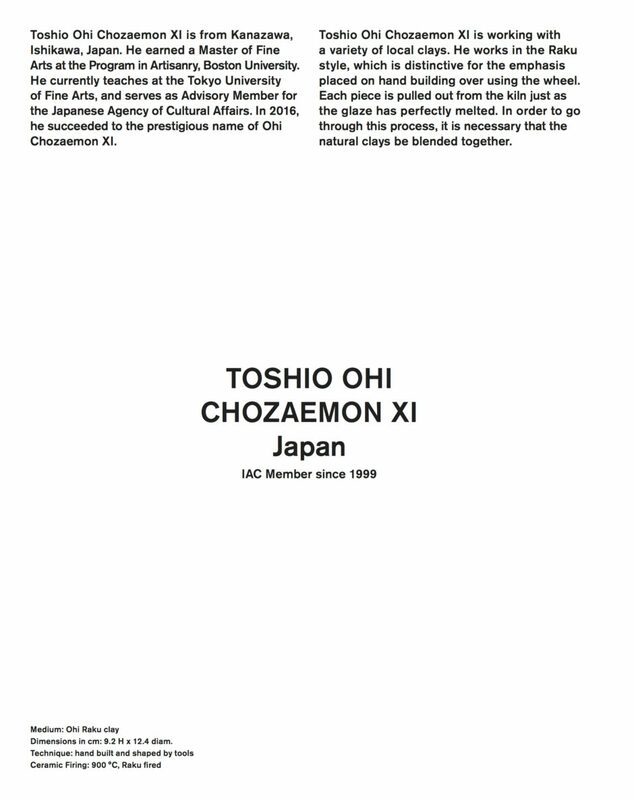 A certificate attests to the authenticity of all artworks. 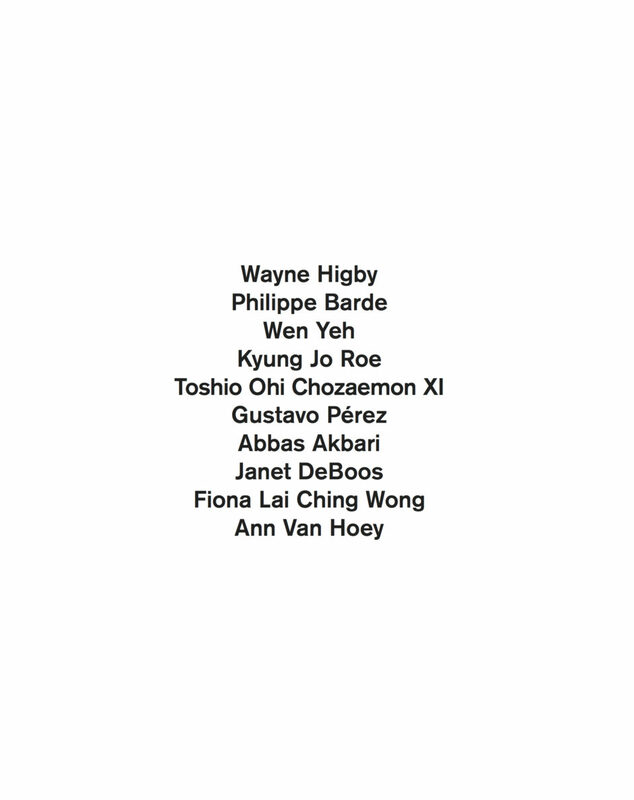 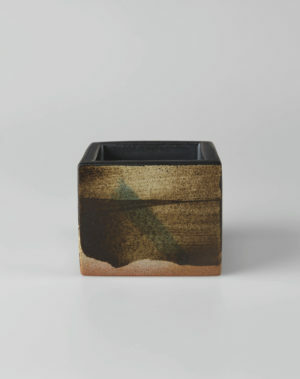 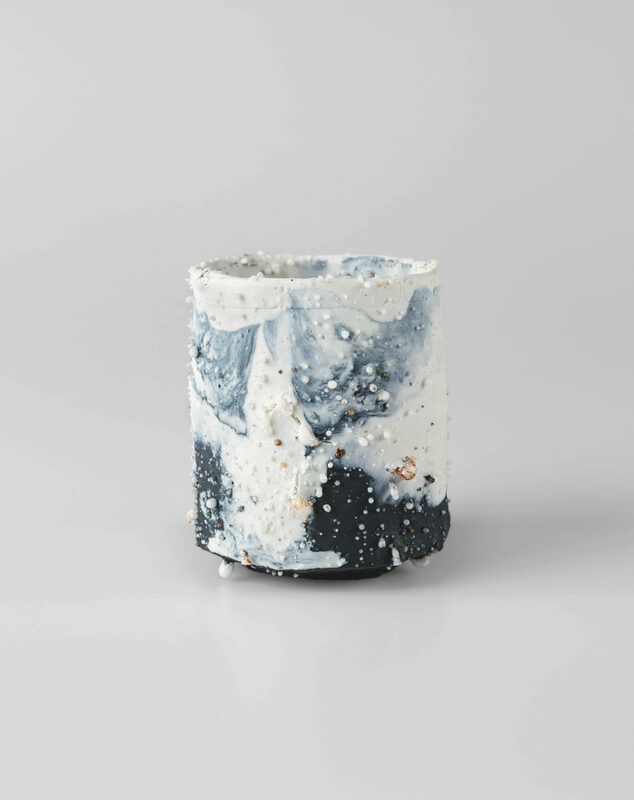 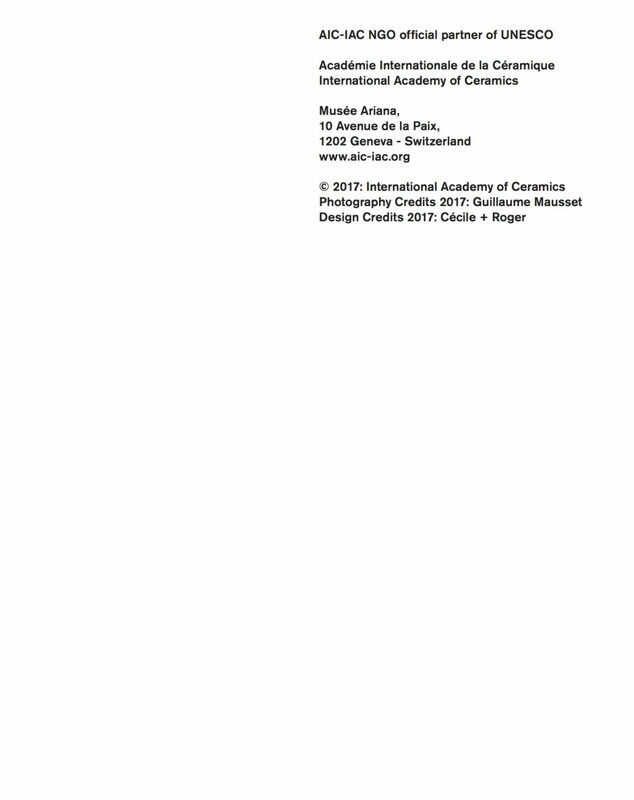 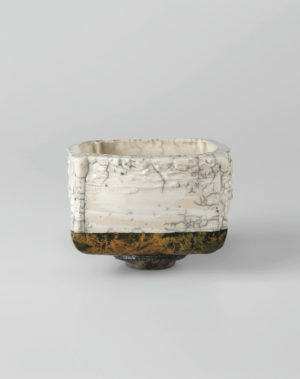 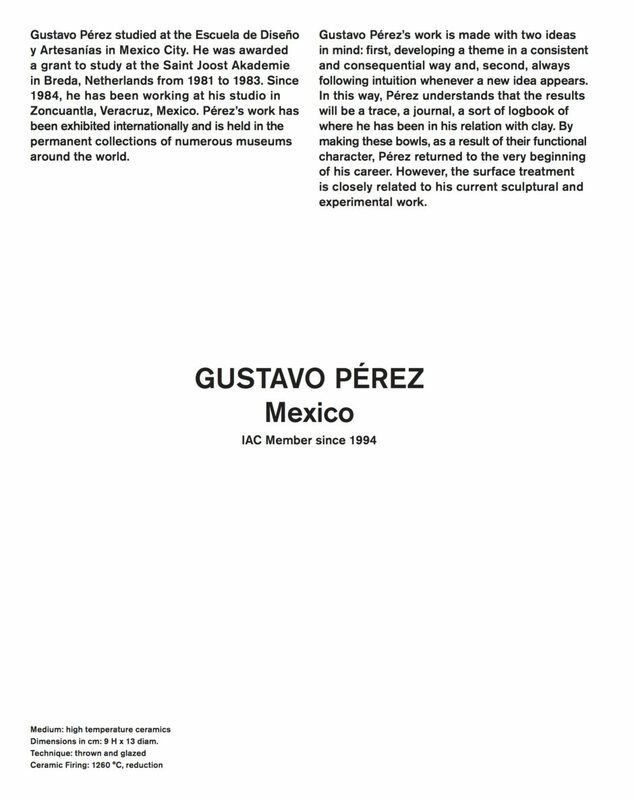 The limitation to 12 sets and 10 artists makes this edition a unique achievement in the world of contemporary ceramics. The collection could not have been possible without international philanthropy. 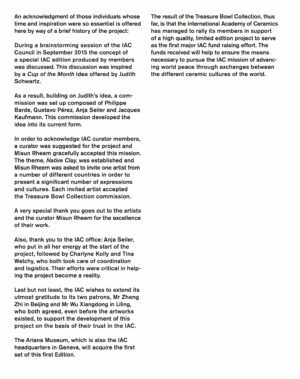 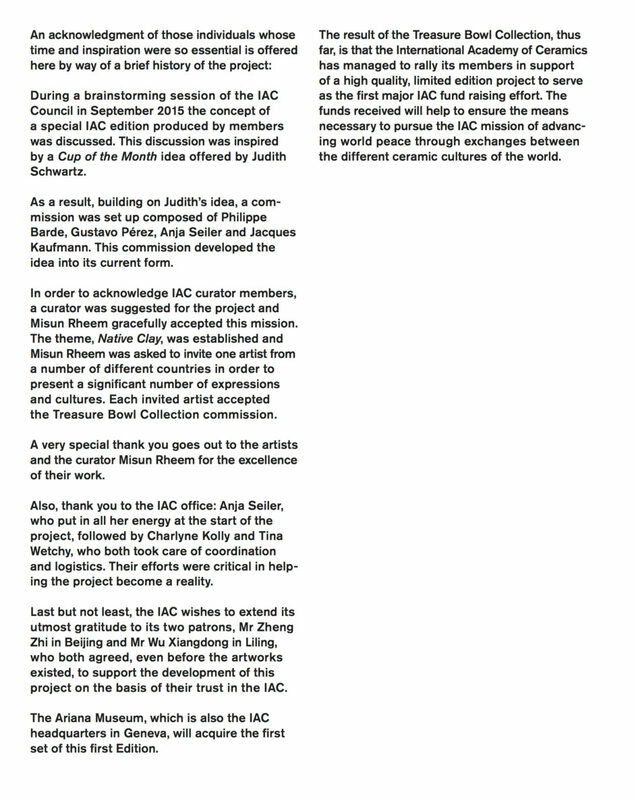 The IAC therefore extends its utmost gratitude to the two patrons who agreed to support this project financially, even before the artworks existed. 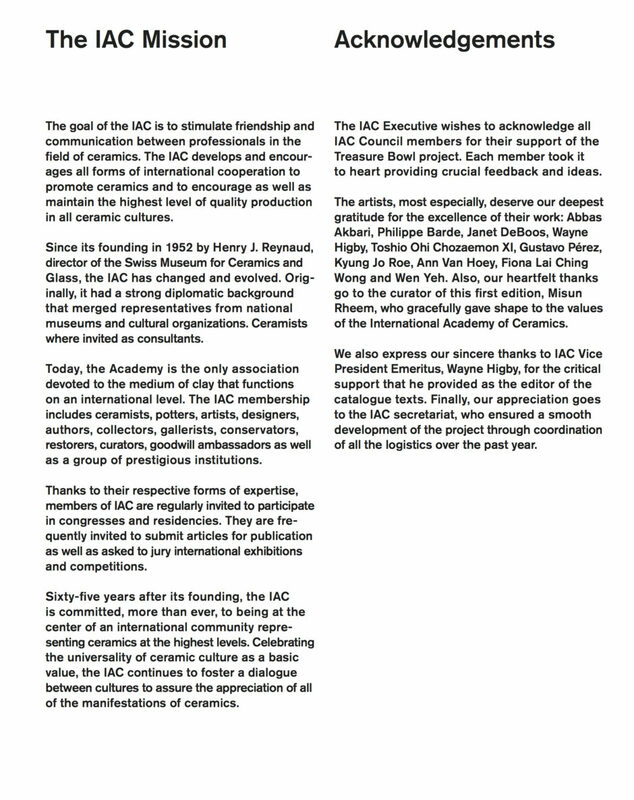 Their trust in the IAC and its members makes it an important step in the association history. 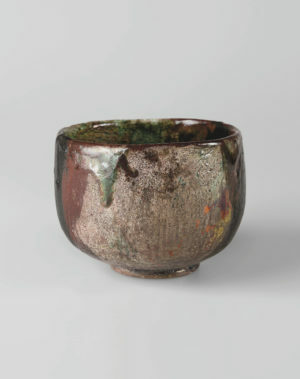 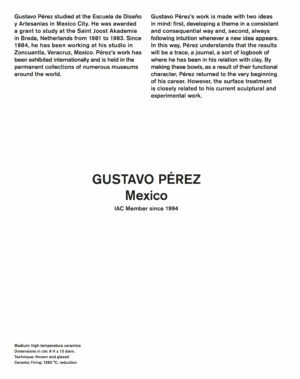 In addition to the initial support of those art benefactors, the Musée Ariana in Switzerland and the Alfred Ceramic Art Museum in the United States have each committed to acquiring 1 set of the Treasure Bowl Collection. 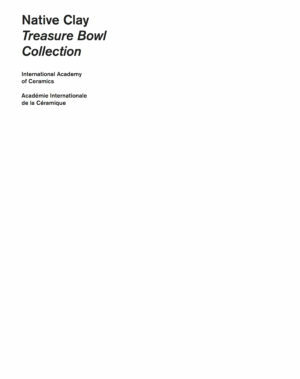 A few sets are still available for acquisition for those wishing to help the International Academy of Ceramics continue to support the quality and diversity of ceramic art around the globe. Thank you for consideration. 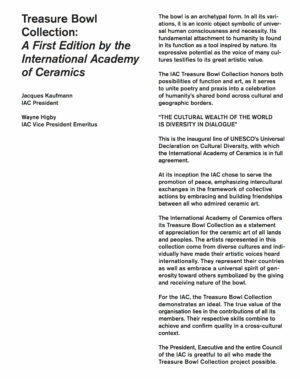 Become a patron of the IAC. 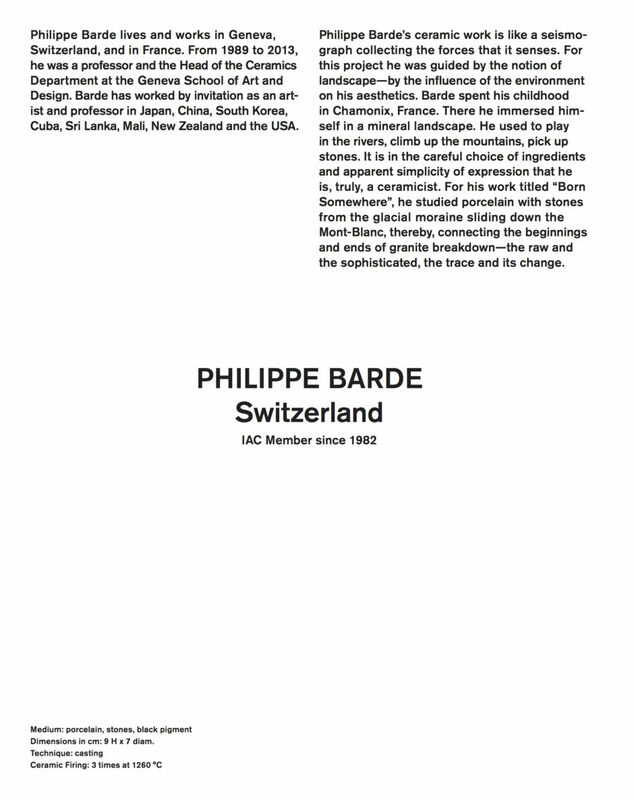 The acquisition price of each collection set starts at CHF 18,000. 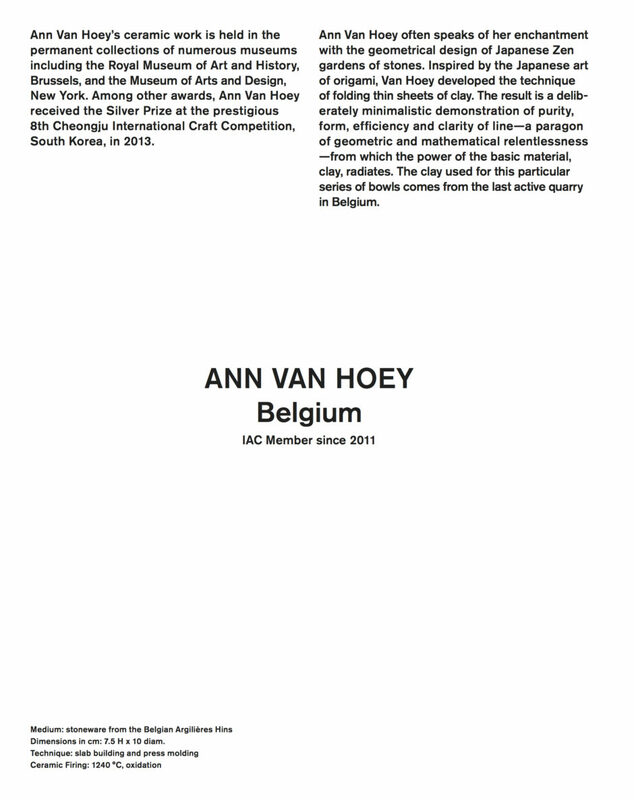 / +41 22 418 54 76. 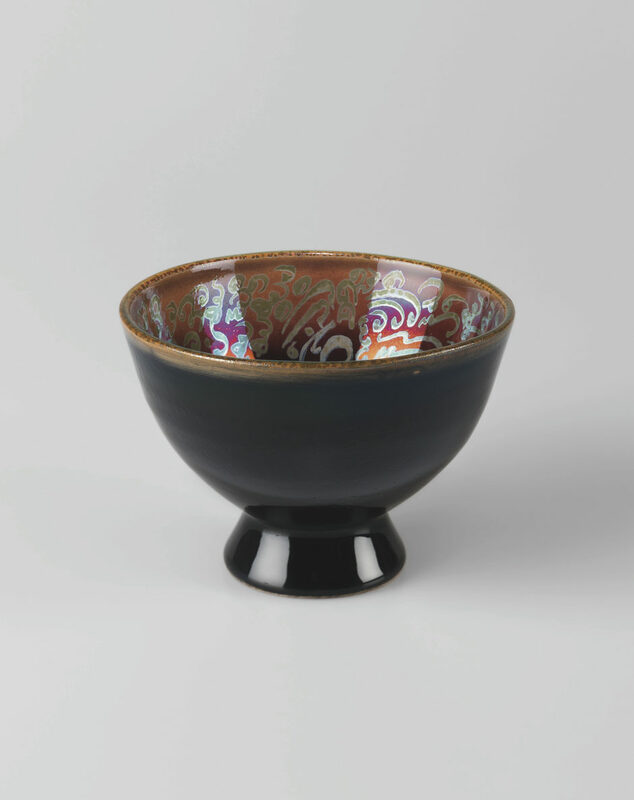 A public viewing of the Treasure Bowl Collection will take place in September 2018 at the Yingge Ceramics Museum, in New Taipei City, in the context of the IAC 2018 Congress. 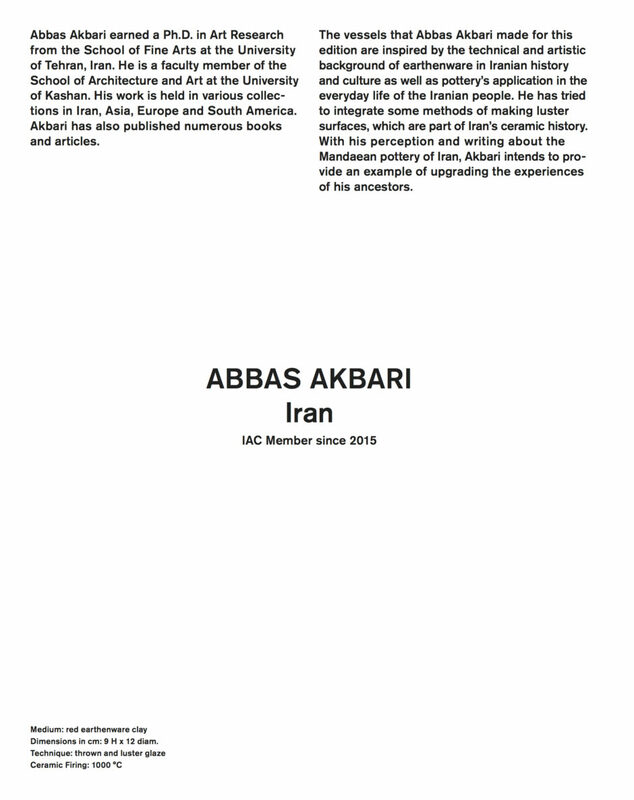 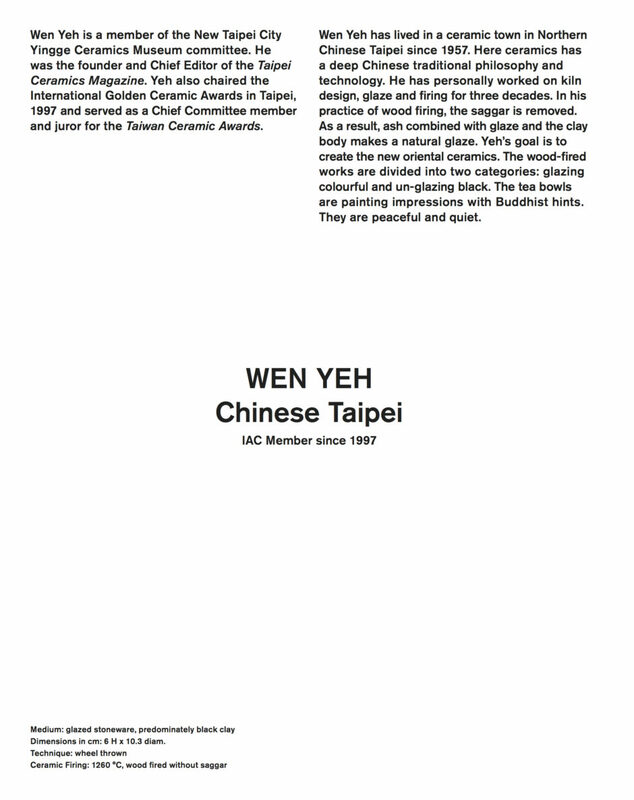 The content of this catalogue are protected by IAC copyright.